The thing about porting mobile games to console is that, when it’s on your phone, what may be deemed as the greatest game since hoops and sticks were invented, can be a whole heap of “meh” when you’re sat armed with an HDTV and an Xbox controller. Doodle God is the latest such mobile phone darling to receive an Xbox One release. In the form of an “Ultimate Edition” no less, which basically means it comes with all updates and add-ons included. It’s also no longer a free-to-play game though, and hints and tips can still be paid for if you really need to. It’s a puzzle game which challenges the player to create the whole universe by combining known “elements” to create brand new ones. It’s also described as a logic game, but we’ll get on to that shortly. The game plays simply enough, just combine one item from the left side of the screen with another from the right. 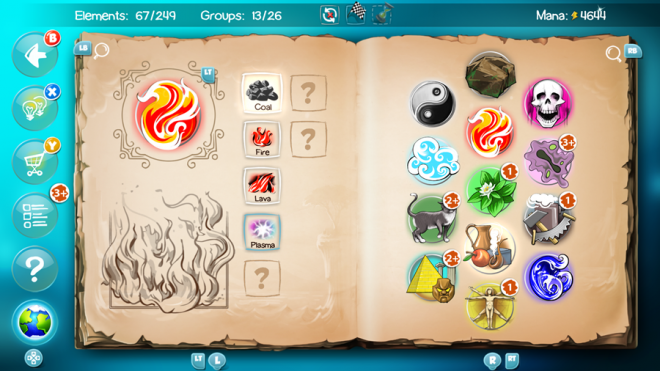 If you get a hit, a new element will unlock and be added to the list. This, in turn, can now be used in combination with other items, creating an every expanding universe. Sounds great…right? 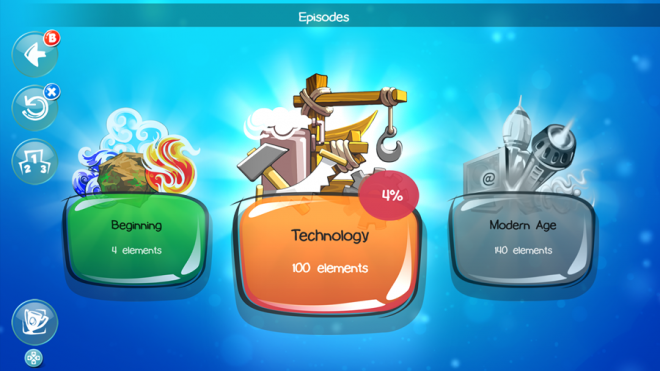 Worldly presentation – Doodle God was already a fairly shiny and pretty game when it was on mobile devices, and thankfully this has translated well on a big screen. 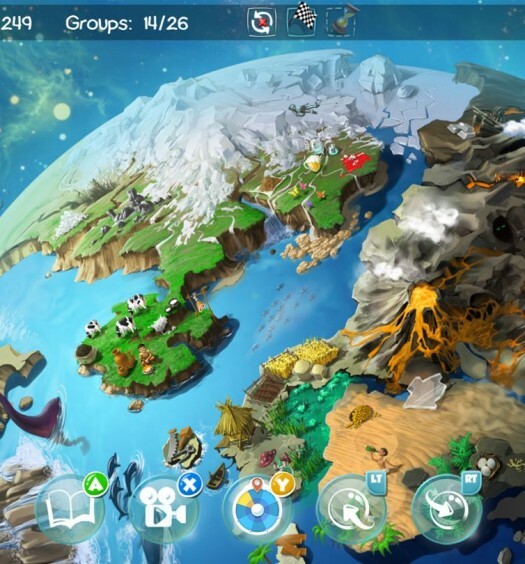 The graphics are bright and colorful, and the previously touchscreen menus are now easily navigated using the right and left control sticks and opened and closed with LT and RT. 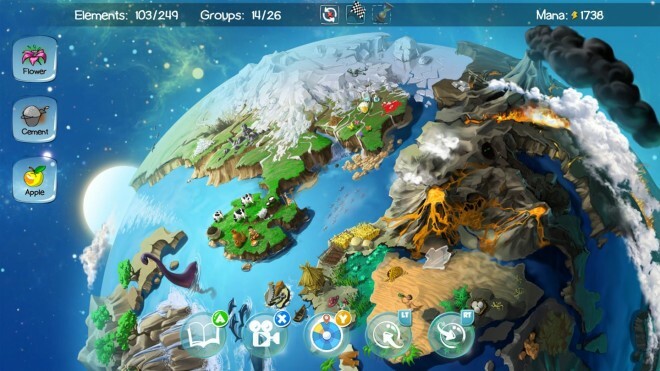 As you unlock elements, they are also displayed on your world map, so unlocking grass, for example, will award you with a neat FMV of grass growing somewhere on your globe. You can also replay your entire progress in a short video showing the order of how your personal world was created. It’s logic Jim but not as we know it – Creating elements starts off simply enough. Combine earth + fire to get lava, then maybe lava + air = stone. However, once you’ve got the basics, it goes downhill from there. After a while, I had to resort to going through the list on the left and combining it with everything on the list on the right. Eventually hitting such gems as life + ash = ghost or my personal favorite plankton + fish = whale. I mean, I don’t know what biology class these developers went to, but I think science just left the building. There are plenty of hints you can use, but if you run out, then it’s time to stump up the petty cash. I’ll grant you that it’s unlikely you’ll actually need to do this because when you’re stuck, you can just randomly combine items or search for answers on the internet. Of course, this is about as interesting as watching paint dry. That’s it? – I have to admit, I was expecting more gameplay in a game where you create an entire universe, but somehow Doodle God manages to make playing God the most boring job in the world. I’d actually rather be at my regular old 9-5 than spend another minute randomly selecting icons to combine. It’s supposed to be a puzzle game, but the answers are about as logical as a chicken playing chess. Outside of the main campaign, there are few side quests with actual puzzles to solve like Rescuing a Princess or Escaping a Desert Island, but they all boil down to the same thing. There’s no strategy, no logic and in the end, I felt like a toddler smashing bricks together. I can almost see the appeal of playing Doddle God on a mobile phone. Perhaps when you’re waiting for the next bus, or when your friend is late meeting you. I say almost, though, as I’m pretty sure I could find a million other more interesting things to do on my phone. Or maybe I’ve just never hit that level of boredom required to find a game like Doodle God fun. However, on a home console system, it’s about as dull as you can get and at $9.99, there are hundreds of better games out there worth your time and money. Buy it only if you want some easy achievement points. 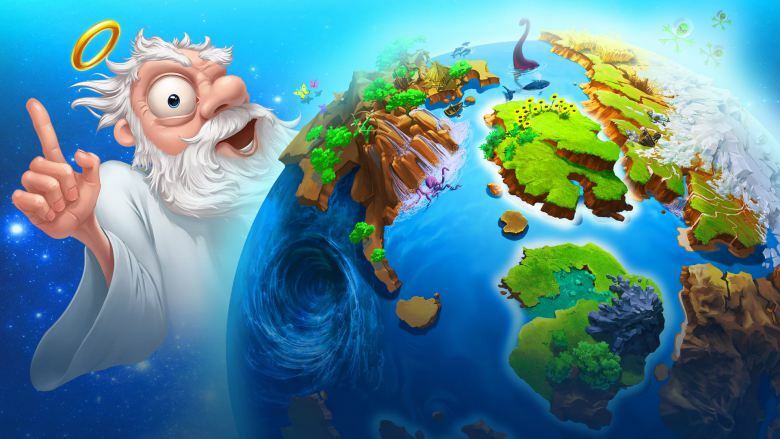 Doodle God: Ultimate Edition was developed and published by JoyBits Inc on Xbox One. It released on January 27, 2017, for $9.99. A copy was provided for review purposes.